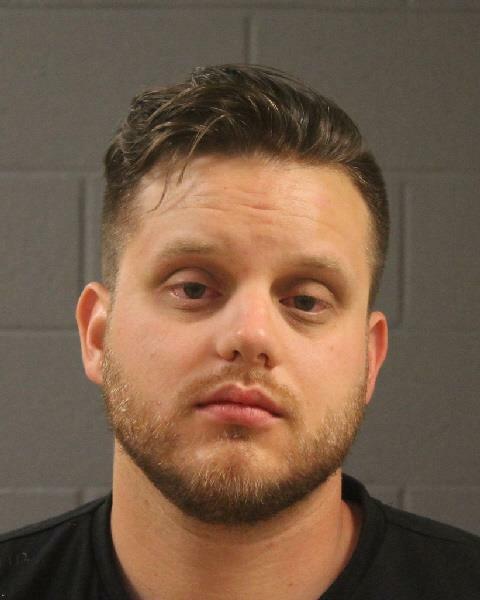 SAND HOLLOW STATE PARK — A St. George man was arrested at Sand Hollow State Park early Sunday morning following an alleged physical altercation over a cellphone. At approximately 3:30 a.m. Sunday, officers responded to the state park where a man reported he had been assaulted before driving away in his vehicle, according to a probable cause statement filed by the Hurricane City Police Department in support of the arrest. After obtaining a physical description of the alleged assailant, officers located him at a campsite in the park. He was identified as 26-year-old Logan Jay Mazzettia, the arresting officer wrote in a sworn statement. When questioned, Mazzettia told police he had gotten upset after the man took a female friend’s phone without permission and deleted everything on the phone, according to the statement. While speaking with Mazzettia, officers noticed blood on the front of his shorts along with a cut on his left knuckle, the report stated. “Logan (Mazzettia) admitted to wrapping his right hand in a shirt, punching out the rear driver passenger window then opening the door and punching the male in the face,” the officer wrote in the statement. Mazzettia was swaying back and forth while speaking with officers and allegedly admitted he had been drinking alcohol, according to the statement. A portable breath test was given to Mazzettia which reportedly showed he had an alleged blood alcohol content of .224. Mazzettia was arrested and transported to the Washington County Purgatory Correctional Facility. The Washington County Attorney’s Office filed an information in 5th District Court accusing Mazzettia of two class A misdemeanor counts of burglary of a vehicle and criminal mischief; and two class B misdemeanor counts of assault and intoxication. Mazzettia was subsequently released from police custody on $5,190 bail. He is scheduled to appear before 5th District Judge Eric A. Ludlow July 1 for a court arraignment. Sounds to me like the clown who took the phone deserved what he got! Why wasn’t HE charged with criminal mischief or damaging a communication device? Yep ! Sounds like a case of street justice to me.